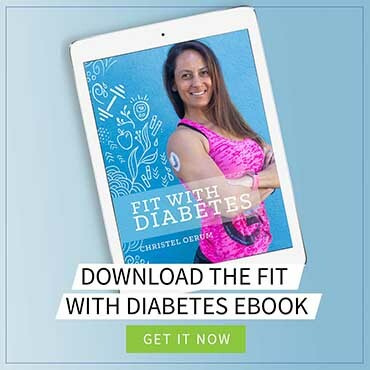 Diabetes & Keeping Fit for Dummies is a new and very comprehensive beginner’s guide for anyone wanting to learn more diabetes, exercise, and nutrition. It’s written by well-known diabetes and exercise expert Dr. Sheri Colberg (who also wrote the Diabetic Athlete’s Handbook) for the American Diabetes Association. In this review, I will cover what’s in the book and who can benefit from reading it. Dr. Sheri R. Colberg lives with type 1 diabetes herself and is a professor emeritus of exercise science from Old Dominion University so she definitely knows what she’s talking about. I like that a lot, as I always have a strong preference for reading diabetes books written by people who actually live with diabetes themselves. She is also a frequent contributor here on Diabetes Strong (you can see her posts here). Let me start by saying that this book is pretty massive at 361 pages (plus 20 pages of index). The book can be read from cover to cover (which I highly recommend), but you will probably often find yourself using it as an encyclopedia when you need to look up the answer to a specific question. It has a very comprehensive table of content, so you’ll quickly be able to find whatever you are looking for. The book starts by providing a good fundamental understanding of diabetes and the different diabetes medications for both type 1 and 2 diabetes. After you have the basics down, Dr. Colberg methodically goes through everything you need to know about exercise and nutrition with diabetes. And I mean EVERYTHING, if you are looking for information on Hypoglycemia-associated Autonomic Failure, you can find it here (I had no idea what that was before reading this book but it’s actually very relevant). I know I make it sound like this book is heavy reading, but since it’s part of the “for dummies” series, everything is written in a very approachable and easy to understand way. There’s a lot of stuff to read but you don’t need a degree in exercise physiology to understand it. As you’ve probably sensed by now, this book covers a lot! And not everything is going to be relevant for everyone. What I like about the book is that you can easily pick and choose the components that are relevant to you, including some very specialized areas. For example, my eyes quickly went to the sections on being active as a female and managing diabetes as an athlete, because that is what’s most relevant to me personally. The book also has sections about exercises for people with limited range of motion or for those who are immobile (it even has exercise recommendations with illustrations). Including these specialized topics is one of the book’s major strengths and something that’s rare in the somewhat limited literature out there for us living with diabetes. 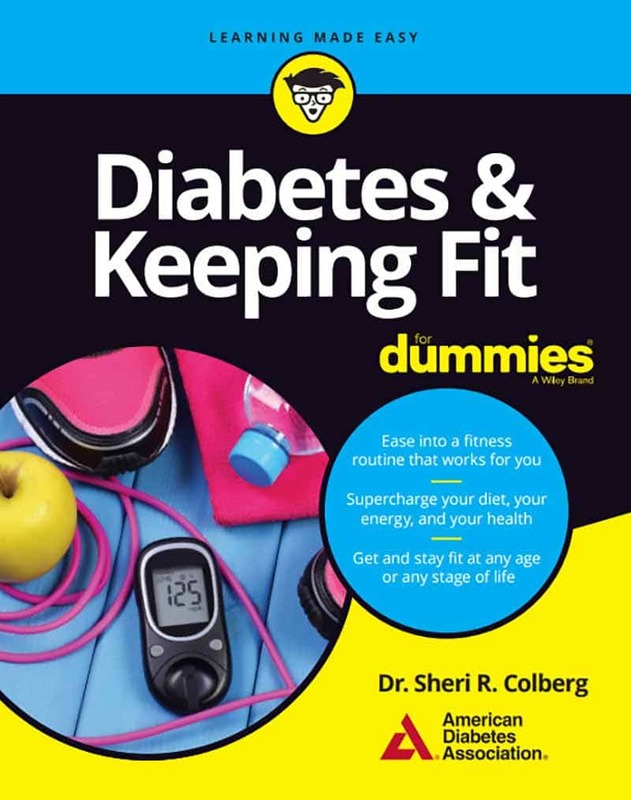 At the end of the book, Dr. Colberg has included a chapter with practical advice for getting active and fit with diabetes. It has 10 tips on how to boost overall health, 10 tips on building a strong core, and 10 tips on how to get motivated to exercise. 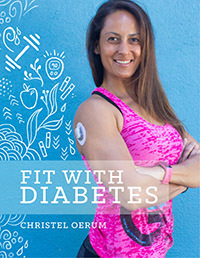 Diabetes and Keeping Fit for Dummies is written for people who are newly diagnosed with diabetes or are trying to become more active, but the book definitely offers some golden nuggets of knowledge, even for people who have been living with diabetes for a while. It has a good mix of practical information and more basic “textbook” diabetes knowledge that anyone with diabetes should know. It’s a book that I know I will open again whenever I need to look up something or are wondering about how a specific aspect of diabetes actually works. I highly recommend buying it, even if you don’t intend to read it cover-to-cover. You can get it as a paperback or eBook on Amazon.